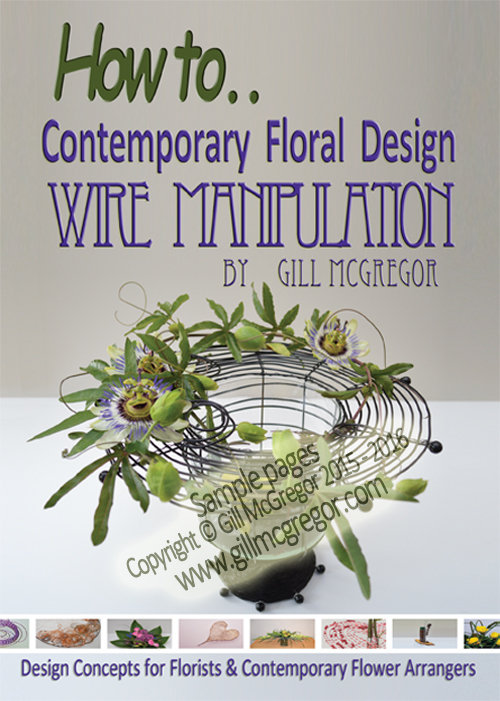 Gill's book on Wire Manipulation provides a host of different design ideas which require the use of wire for support, manipulation, control and of course anchorage. 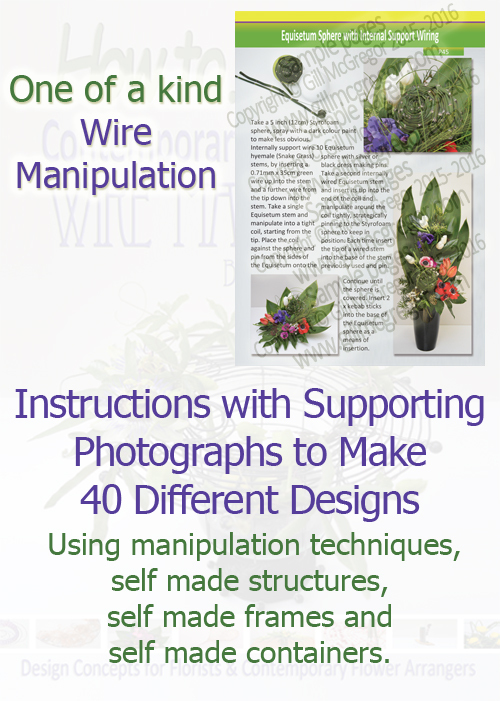 This ‘how to’ book explains how each design idea was constructed, what type or types of wire were used and has been developed to help inspire you to create and develop your own designs incorporating wire. 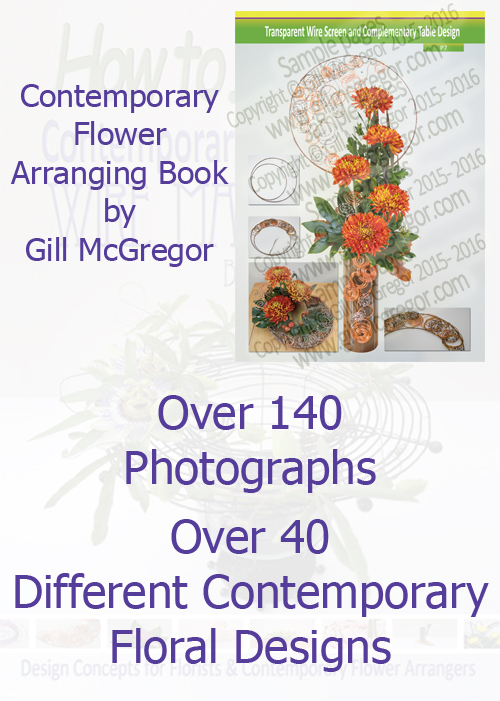 "How to.. 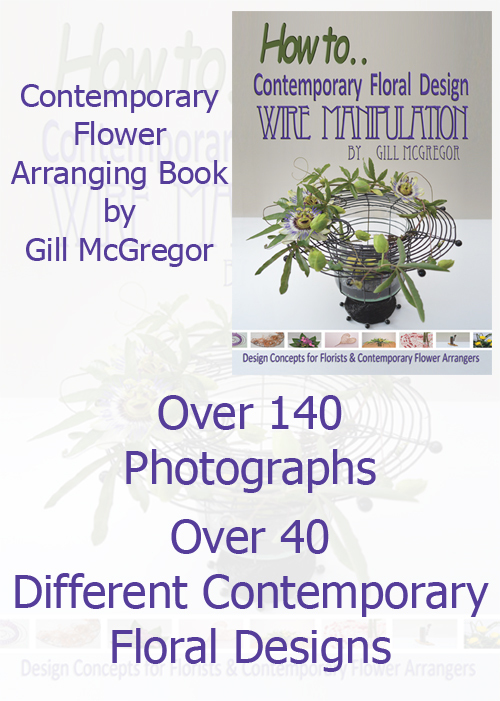 Contemporary Floral Design - Wire Manipulation"
Over 140 photographs support more than 40 different contemporary floral designs with concise construction methods are included in this new Contemporary Floral Design ‘How to’ Wire Manipulation Book. 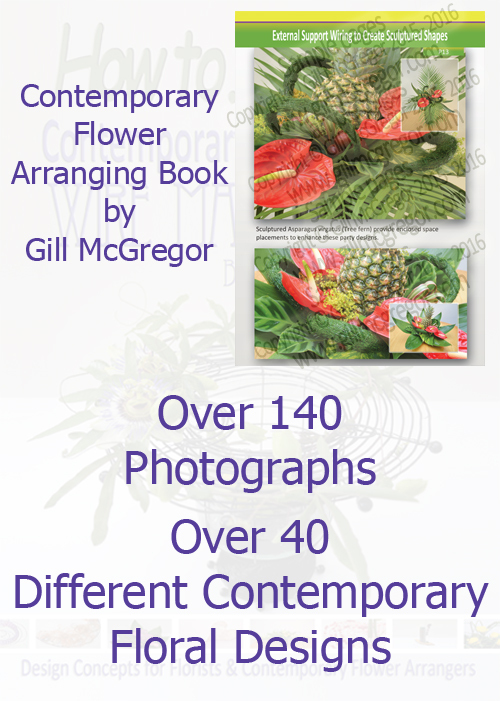 This book is for Florists and Contemporary Flowers Arrangers to instruct, inspire and further develop design skills and techniques. 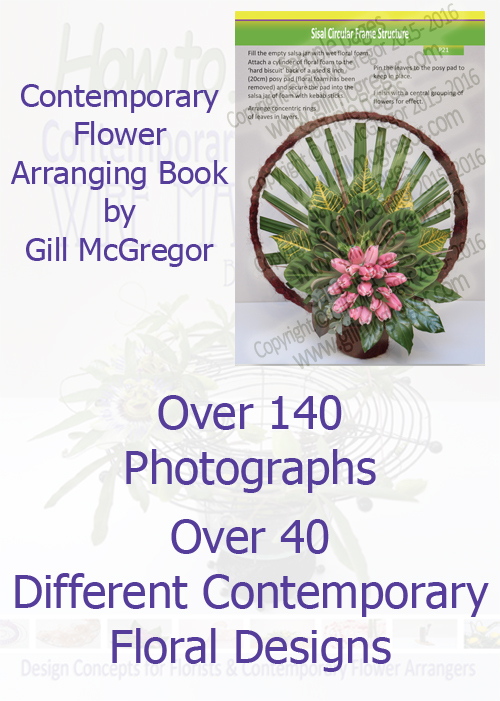 56 pages including covers & index with Full colour photography and supporting text.